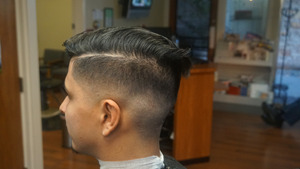 A classic from the induction to the butch, or buzz haircut, achieve an equal length all over the head. 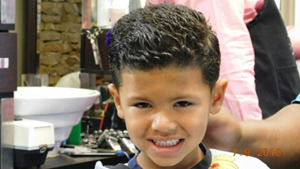 Perfect Image's Precision Haircut service for kids under 12 years old. 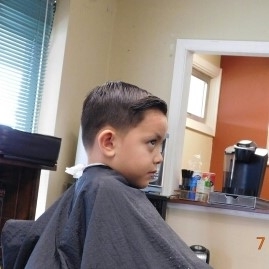 Short or long, the line-up can shape up any hairstyle. 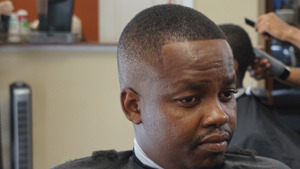 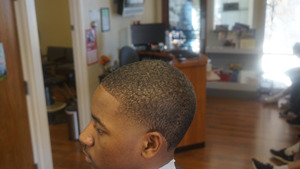 Our barbers edge your natural hairline with straight lines and sharp angles for that crisp, fresh look! 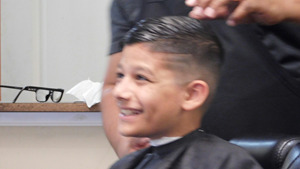 For everyone in the military (active or not), or in the police and fire departments, we offer discount for our services as a small token of appreciation for your services to us and this country. 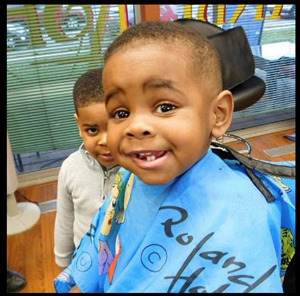 Simply show the barbers your ID/badge and the discount will be granted! 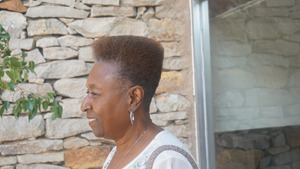 We pride ourselves in our elders who’ve blessed us with their wisdom and sense of humor. 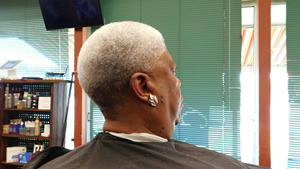 To give back, we grant discounts to senior citizens with proof of ID. 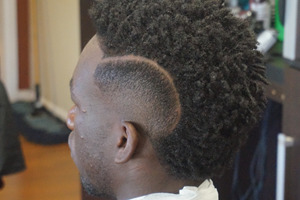 The classic afro, where curly hair is cut and styled into a ball! 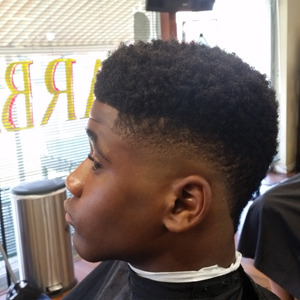 The short afro in particular is one of the healthiest types of hairstyles around.As our professional barbers to trim hair, dead ends are removed which allows your hair to shape and grow to the style that suits you. 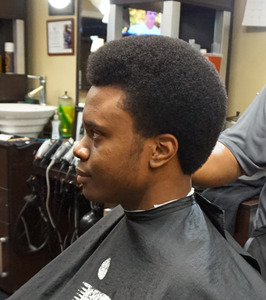 There’s a number of styles and variations to the Afro with a taper fade or a Afro taper. 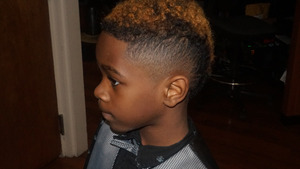 This hairstyle is often shorter on the back and sides with more fullness at the top than any other tapered hairstyle. 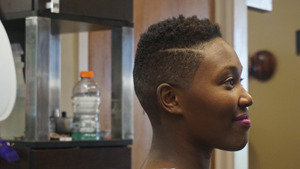 This style is a perfect fit for round face types because it slims facial features. 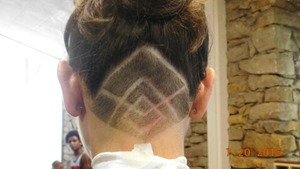 Hair design Needing the perfect hair design or clean graphics? 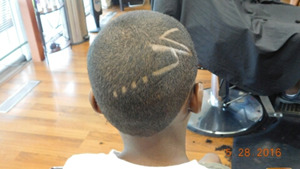 You're in luck because we offer custom hair designs and graphics for any hairstyle! 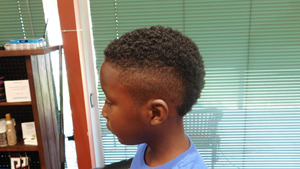 We specialize in a variety of types of Mohawk’s customized to fit your perfect image. 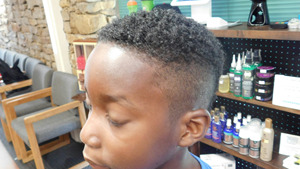 For a more conservative style we have the Fohawk and where some hair is left on the sides or Afrohawk that sports shorter, wider strip at the center. 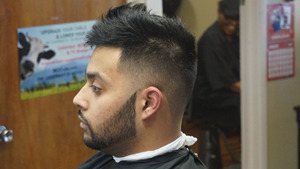 Need a beard trimming, beard line-up, beard styling with a design or more? 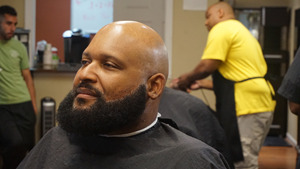 We offer the perfect beard solutions to keep your look fresh! 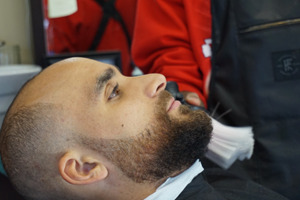 Classic barbering techniques are used to fade or trim your beard to your perfect image. 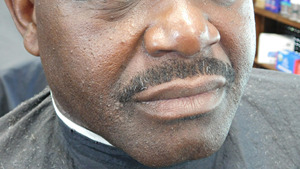 The black mask is a peel off mask that purifies the face for a smoother texture. 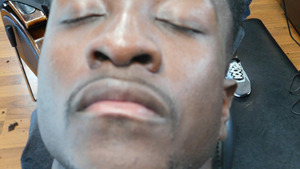 The mask also contains vitamins from plant extract that restores the skin to a youthful glow. 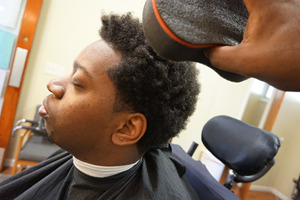 Pamper your face with the full treatment of a faical where our barbers apply hot towels exfoliating face scrubs, invigorating lotions and facial massage. 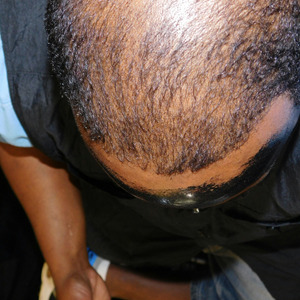 We also sell cleansers, toners, scrubs, and masks perfectly engineered for the skin. 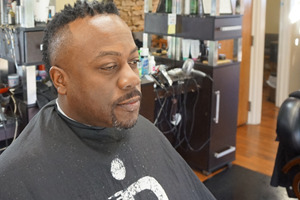 If you're going for a serious mature look than the goatee is the perfect choice. 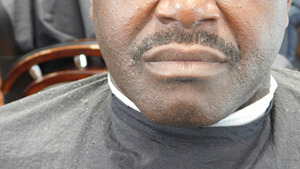 It has a number of variations but it’s characterized as a mustache connected to the beard. 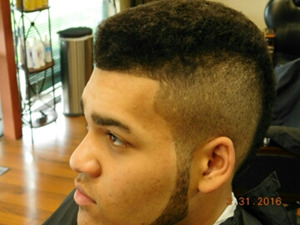 The goatee serve as the perfect match for short haircuts, especially for a person with a round face. 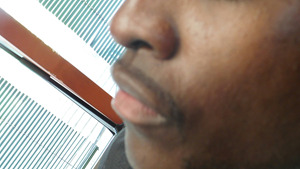 If your looking to make a change to the proportion of your face, a mustache would be your first option. 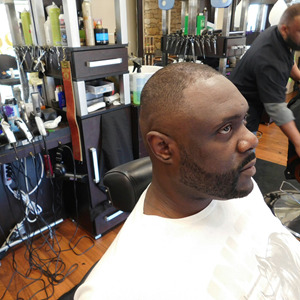 Even a little facial hair can make a big difference. 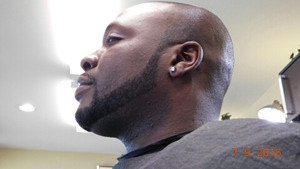 Whether your plan is to go the mature edge of walrus mustache, or keep the contemporary look of a pencil mustache, we’ve got you covered. 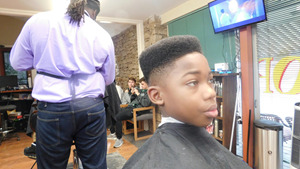 With it’s sharp boxy top contrasted with it’s short, sometime tapered sides, the flattop held its own among the haircuts back in the day. 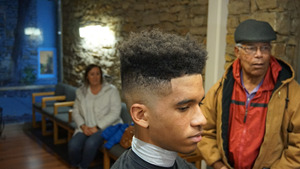 While simple in concept, the flattop takes on iconic status with further detailing. 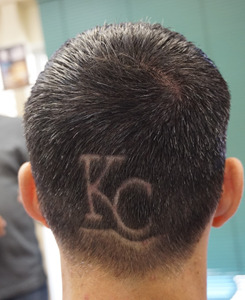 We strongly suggest you seek one of our professional barbers for this one. 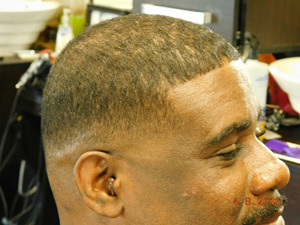 The low fade is a haircut where the hair is faded down to the skin just above your ears. 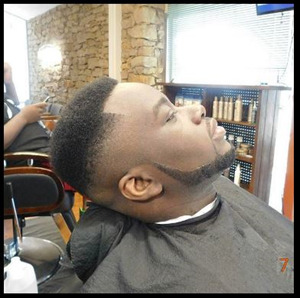 If you have a beard, the low fade is perfect because it blends well into with the haircut. 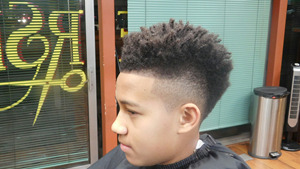 A classic haircut with short sides to dramatic height up top. 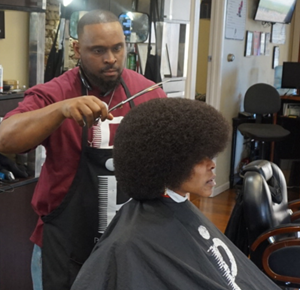 A style that matches both your lifestyle and personality. 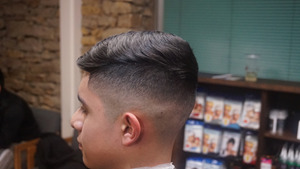 Utilizing classic clipper and scissor techniques, our highly trained barbers will leave you looking and feeling your best. 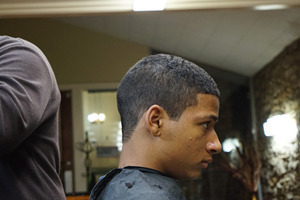 A precision haircut service to handcraft a style that matches both your lifestyle and personality. 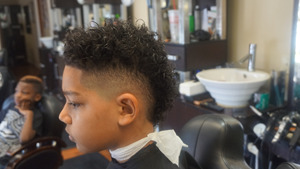 Utilizing classic clipper and scissor techniques, our highly trained barbers will leave you looking and feeling your best. 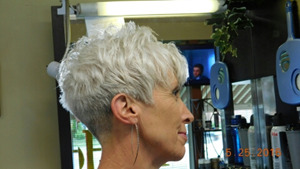 For this haircut we gradually fade the hair down to the skin but trim the top of your hair into the desired length. 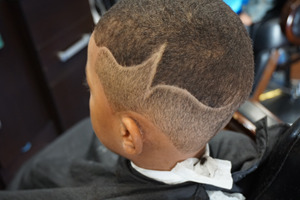 Like the name states, the taper haircut is one where our barbers gradually taper your hair down. 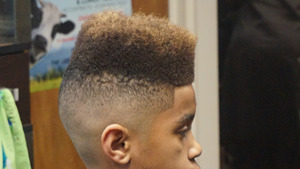 Tapered down on sides in front of the ear, and the back of your neckline. 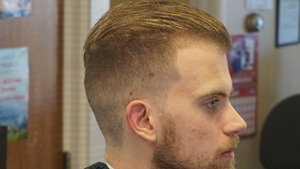 For a bolder look we can taper down to a bald gradually faded to the back of the hair. 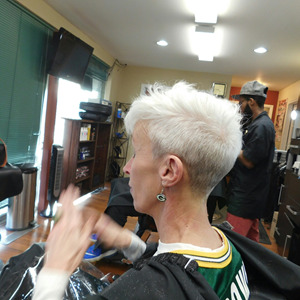 For the ladies who like to keep their hair with the precision of a longer style cut. 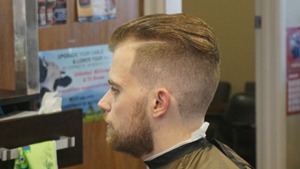 The Perfect Image combo includes a haircut and a beard trimming or close shave. 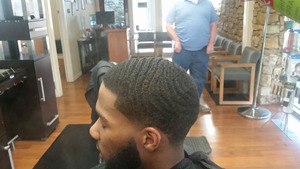 We recommend a full, long beard if your like to keep your hairstyle precise, but if you like to sport a rougher hairstyle, then it would be better to keep it close or shaven. 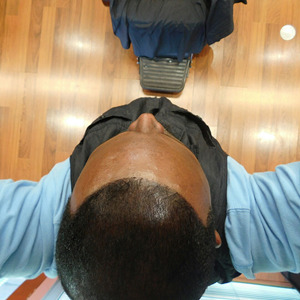 If your edges need help pulling off that crisp look a hairline enhancement is the answer. 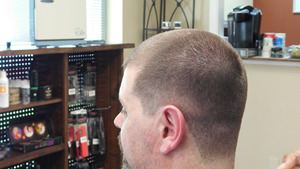 Depending on your choice of product our barbers can either put in some hair fibers or spray in the edge of the line. 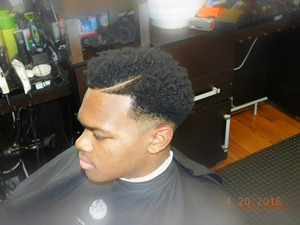 Our signature style done to your specifications. 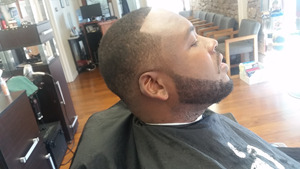 We include a fulle treatment haircut and beard trim or shave and pamper your face with the full treatment of a facial where our barbers apply hot towels exfoliating face scrubs. 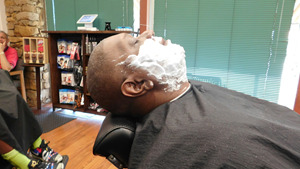 The classic razor shave done the right way. 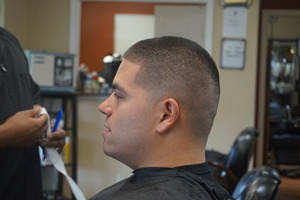 We use hot towels, work in a hot lather, and leave your face feeling smooth and comfortable with a straight-razor shave.